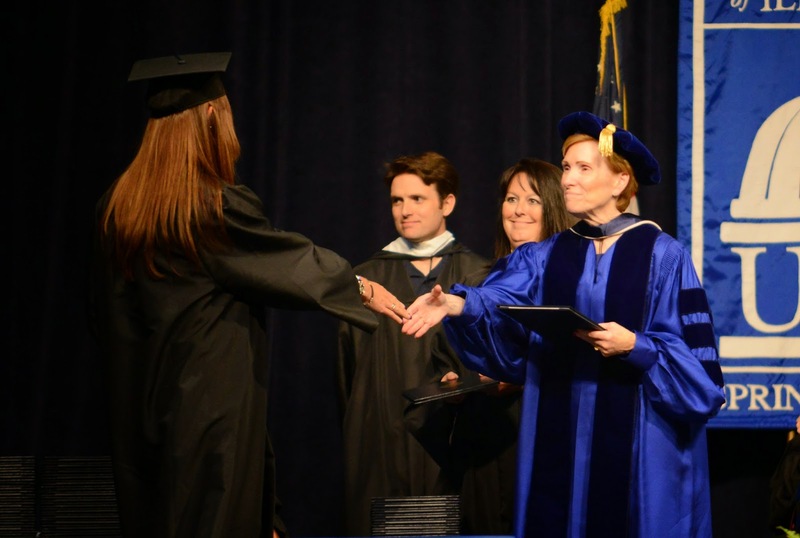 Commencement ceremonies for the University of Illinois Springfield will begin at 4 p.m. on Saturday, May 16, at the Prairie Capital Convention Center, Ninth and Adams Streets in downtown Springfield. Of the 1,606 students eligible to graduate, over 950 will participate in the ceremony. Because of the large number of graduates and the seating capacity of The Center, it is recommended that no more than six guests attend per graduate, though overflow seating will be provided. Tickets are not required for admission and seating will be available on a first-come, first-served basis. There is no reserved seating, except for special needs such as interpretive services and wheelchairs. The doors to the main floor will open at 3 p.m. The UIS Commencement speaker will be UIS alum Thom Serafin founder and CEO of Serafin & Associates, Inc., a leading Chicago communications, media relations and public affairs firm, whose diverse clientele includes multinational corporations, regional, local and state businesses and non-profit organizations. Before establishing Serafin and Associates, Inc. in the late ‘80s, Serafin enjoyed a successful career as a political/legislative correspondent, which began as he covered the Illinois General Assembly for network radio. 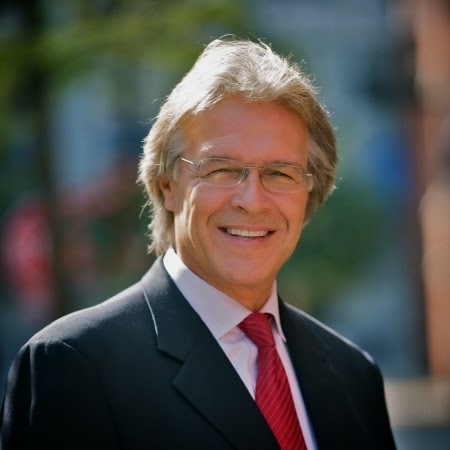 Throughout his career, Serafin has advised numerous high-profile national and state policy makers. He served as press secretary for U.S. Senator Alan Dixon and U.S. Representative Dan Rostenkowski and was the Illinois campaign manager for Senator Gary Hart’s 1988 presidential bid. His broad insight into political and governmental arenas has put him in great demand as a political analyst. Both knowledgeable, and often entertaining, he is regularly featured on national and Chicago TV and radio news programs. Serafin earned a bachelor’s degree in communication from UIS in 1973 and a master’s degree in public affairs reporting in 1993. As an undergraduate, he assisted his professor and mentor, future U.S. Senator Paul Simon, in launching the UIS Public Affairs Reporting program (PAR). Thom endows an ongoing PAR scholarship. Thom’s advocacy work on behalf of UIS has been extensive. He’s been chairman of the UIS Campus Alumni Advisory Board since 2006 and regularly offers his business expertise and resources to advance the mission of UIS. In 2010, Thom received the UIS William E. Winter Award for Outstanding Advocate Leadership. Ted Mims, professor and head of the Computer Science Department, has been chosen to serve as grand marshal. The student speaker will be Blake Hudson, who will graduate with a Master of Public Administration degree. Accountancy: Sandra K. Huxtable – B.A. (Peoria), Elizabeth Marie Kesinger – B.A., Sara Sulamoyo – M.A. Biology: Justin Daniel Sawyer – B.S., Logan Tyler Benedict – M.S. Business Administration: Kristen Nicole Shaffer – B.B.A., Preston Todd Searl (Peoria) – M.B.A., Justin Charles Gumbel – M.B.A.
Chemistry: Jessica Leigh Krueger – B.S. Clinical Laboratory Science: Aaron Cy Nightingale – B.S. Communication: Kate McKenzi Catalano – B.A., Libby J. Bair – M.A. Computer Science: Hayden Louis Esker – B.S., Andrew Oldfield – M.S. Criminal Justice: Jonathan Wesley Powell – B.A. Economics: Joseph Nicholas Langman – B.A. Educational Leadership: David Ryan Van Aken – M.A. English: Dana Papanikolaou – B.A. Environmental Sciences: Kelsey Louise Townsend – M.S. Environmental Studies: Alec J. Bergschneider – B.A., Jacquelyn A. DeBatista – M.A. Global Studies: Shelby L. Bedford – B.A. History: Benjamin B. Johnson – B.A., Susan Rebecca Dunne – M.A. Human Development Counseling: Timothy Roger Moody – M.A. Human Services: Robert Colin Gilstrap – M.A. Legal Studies: Julia Rae Westerfield – B.A., Kelly Phillips – M.A. Liberal and Integrative Studies: Nicholas Lloyd Webb – M.A. Liberal Studies: Larry M. Brown – B.A. Management: Gary Michael Huwe (Peoria) – B.A., Jacob Aandrew Wherley – B.A. Management Information Systems: Eric Frederick Seling – B.S., Collin Anthony Madding – M.S. Mathematical Sciences: Michael Remington Walker – B.A. Philosophy: Dimas C. Flores – B.A. Political Science: Michelle Danielle Tuma – B.A., James G. Wilson – M.A. Psychology: Trenton J. Adams – B.A. Public Administration: Manuel Talavera – M.P.A., Michael Lee Woods – D.P.A. Public Affairs Reporting: Seth Alexander Richardson – M.A. Public Health: Hima Bindu Kondragunta – M.P.H. Social Work: Katherine Marie Johnson – B.S.W. Sociology/Anthropology: Lisa Nicole Gregory – B.A. Teacher Leadership: Cynthia Marie Arnold – M.A. Visual Arts: Alexander B. Johnson – B.A. A number of events are planned for graduates, their families and guests, including a reception for Peoria-area students on Friday, May 8. Separate brunches for CAP Honors graduates and online degree graduates are scheduled for Saturday morning, May 16. The ceremony will be webcast live at www.uis.edu/technology/uislive.html. DVD copies of the ceremony can be purchased from the Office of Electronic Media for $25. Orders can be placed by phone at 217/206-6799 or at http://go.uis.edu/CommencementDVD.